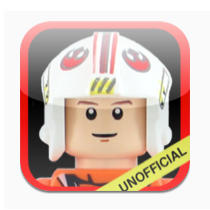 The update for SWMinis version 1.1.3 is finally done and submitted for iOS7 and the September Wave. This update has four major improvements. 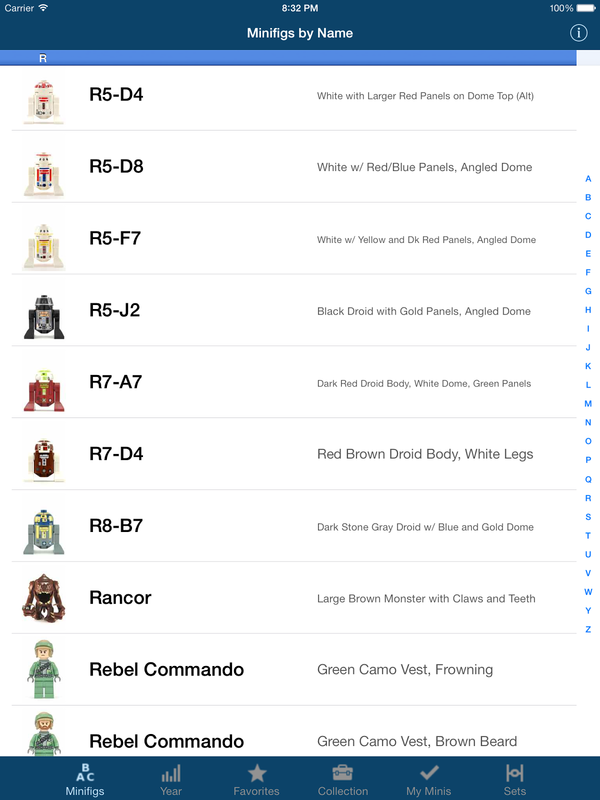 It includes 68 new figures from the recent September 1, 2013 (United States date) release of Star Wars sets. The is the largest content update ever in terms of new figures in one wave. These new figures are stunning and the quality and detail of printing is amazing. Our photos really pop on an iPad where you can see all the figure details. Finally we altered the external site information page to use a simple figure name search. In this update we have buttons that link to Brickset and Brick Owl. 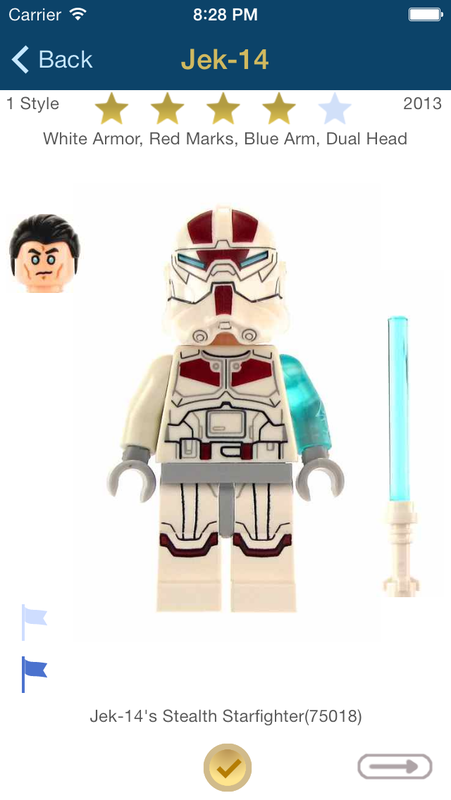 Brickset is a comprehensive site of all sets and figures, and Brick Owl is an easy to use online store where many individuals sell minifigs and Lego bricks. You can easily browse these sites based off the current figure name search results.